Graduation with a Bachelor’s degree from an accredited college or university with major coursework in a related field, plus five (5) years of experience providing customer service, two (2) years of which were in a lead or supervisory capacity. This position will provide Customer Service Supervisor personnel on an ongoing and as-needed basis to staff the Citywide Information Contact Center (Austin 3-1-1) to serve Austin residents and customers, and to support the business needs of City of Austin. 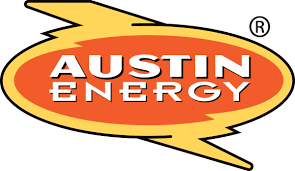 This positions will allow Austin 3-1-1 to meet staffing level requirements, increase and decrease due to seasonal call volume demands, city-wide emergencies and power outages, ensure staff development, effectively manage and coach front line employees, and support the growth and various needs of Austin 3-1-1. Resumes will not be used to qualify for the requisition. Statements such as “see resume” will not be accepted. You may use “N/A” for fields that are not applicable. Starting salary will be based on overall relevant experience from your employment application. Candidates selected for interview(s) may be required to complete an assessment approved by Municipal Civil Service process, Rule 4. Written and/or field assessments, may be administered before, during and/or after the hiring process. This position is categorized as Essential Personnel. Essential personnel is required to come to work during emergencies or bad weather if they are scheduled to work and in some cases when they are not scheduled. Additional hours may be required to work outside of normal schedule. The top candidate will be subject to a minimum 10 year criminal history background check and security threat assessment. Must be able to work any combinations of shifts between 6:00 a.m. to 10:00 p.m. Sunday thru Saturday. 1. Two years (2) experience actively managing staff performance and telework staff performance for a team in a fast-paced environment. 6. Exemplary ability to communicate information of a complex nature to upper management (both written and verbal). 7. Intermediate to advanced proficiency in Microsoft Office. 10. One (1) year experience with quality methodologies, ie. Six Sigma, ISO, TQM, or similar. Resolves customer conflicts and provides options to ensure customer satisfaction. Develops, revises, and implements standard operating practices, policies, and procedures for the section/division. Determines goals/objectives/resource requirements for activities within the division. Oversees billing collection and payment arrangement functions. Reviews and approves account documentation. Provides technical advice and assistance to employees, city management, contractors, and citizens. Coordinates division activities with other divisions and departments. Ensures all Citizen Assistance Forms are assigned to respective sections and processed within set deadlines. Prepares financial summaries, performance measures, data, and reports for management review. Plans, develops, implements and conducts on-going education and in-service training programs. Knowledge of rate structures, utility usage, and conservation methods. Knowledge of utility conservation methods and procedures applicable to commercial, industrial or residential uses. Knowledge of supervisory and managerial techniques and principles. Ability to calculate services and rate classification for commercial, industrial or residential applications.